I'm Creatrix Tiara. I write, perform, produce, and create various kinds of work (including video, games, music, and others) around liminality, identity, and intersectionality. I create because I often do not see myself or my stories represented in the cultures around me, whether mainstream or alternative. I've found that one of the best ways to be reflected is to be the reflection. Through my work, I have been blessed to be able to connect with other people who see & hear me and think "oh, that's me too!" - and together we build community and create more mirrors for each other. 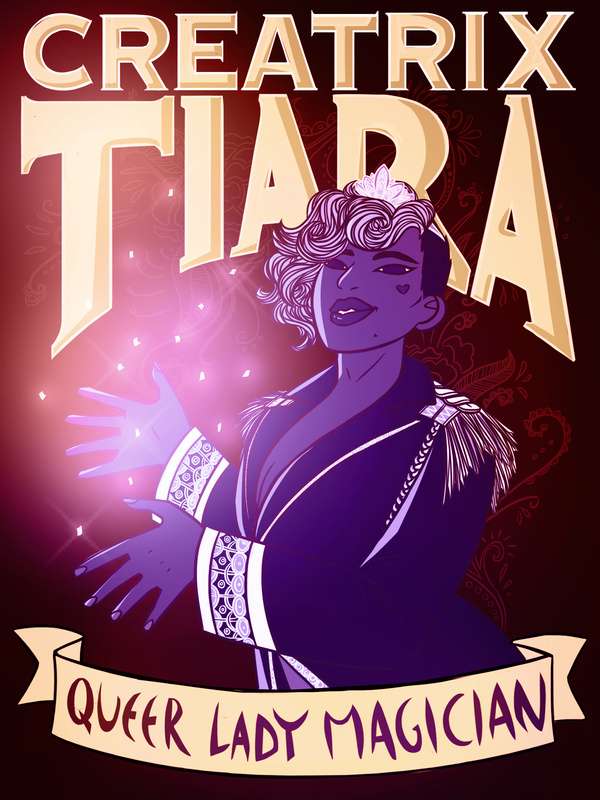 My current main project is Queer Lady Magician, a stage show about revisiting my childhood love of stage magic with a social justice lens and also a lot of impostor syndrome. 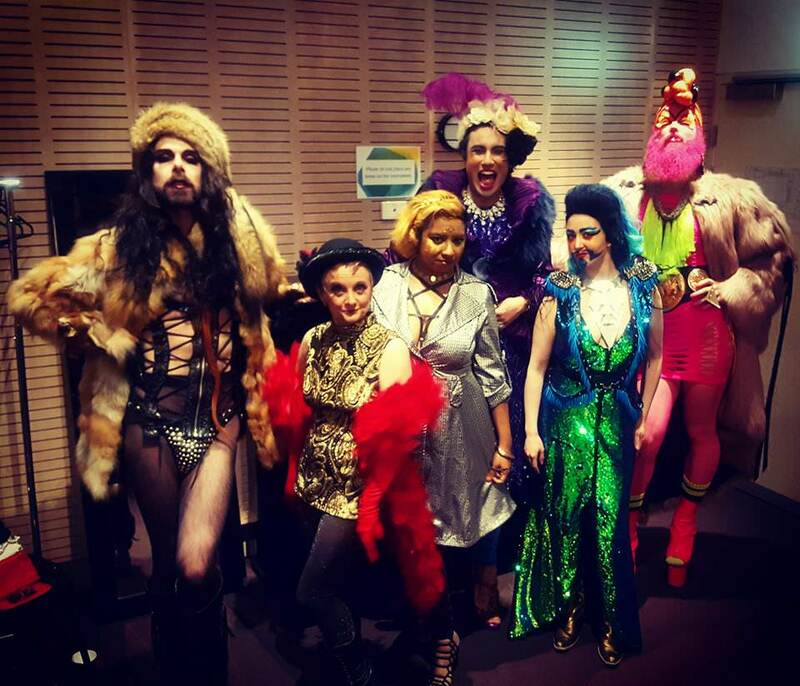 It's being co-produced as part of Women's Circus Still I Rise Fringe Mentorship for Melbourne Fringe in 2018. I also write regularly for LGBTQ women's web magazine Autostraddle, work on communications for Sydney grantmaking group Lesbians Incorporated, am coordinating volunteers for Melbourne indie games festival Freeplay, and will be voicing a character in Season 2 of Australian queer romantic podcast drama The Love and Luck Podcast. My philosophy is to sign up for anything that looks interesting, so I'm sure there'll be more projects I'll be involved with here and there! Patreon is one of my main regular sources of income. It goes a long way into being able to cover expenses both for creative projects and personal use - for example, buying sewing materials for the stack of costumes needed for Taylor Mac, or paying for transportation to get me to performances on time while carrying props. Many of the projects I'm involved in are very grassroots, self-funded endeavours that don't tend to pay a lot. They're worth doing because they match with my values and provide a strong sense of community, but there's still material costs to consider. Having Patreon support allows me to continue taking on these projects without too much stress on my finances - and in a way support my peers and community. When you pledge to me on Patreon, you will be charged for your chosen amount per month. This can be as low as $1, or as high as...well Patreon doesn't really say, and I doubt it's infinity, but you could try. You will be billed for your patronage per month. If you're interested in one-offs, other donations, or any other ways to support me, feel free to check out my special page for this! Patreon takes international credit cards! Thanks for your support, feel free to contact me whenever, and see you soon! The bare minimum you need to join my patronage channel for exclusive content! You (or an organisation/group/event/etc of your choosing) will get a shoutout on Twitter, Tumblr, and Facebook - all combined have close to 5000 followers! I will write a thing (essay, poem, story) based on your prompt! Let me know what topic you want me to write about - a political issue, a love poem to you, a piece of fanfic starring you as the lead - and I will write it up! I will make a video based on your prompt! Same deal as the writing prompt - tell me what you want and I shall put it to video! To steal from Mattie Brice (who you should totally check out and support because she's awesome), this is my monthly budget per month - bare minimum. If I earn this I can create almost-full-time.